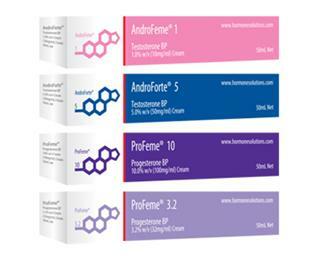 signed up at or bought from hormonesolutions.com or Lawley Australia. Public health historians may view February 2013 as a turning point for global medical management of heart disease, diabetes Type 2, obesity, metabolic syndrome, Alzheimer's disease and overall quality of life in an aging Western world population. The city of Melbourne, Australia hosted the 10th International Conference of Andrology from Feb 23-26 which is held every four years. The world’s leading researchers, physicians and clinicians from the fields of urology, endocrinology, andrology and reproductive medicine heard time and time again from speakers that low testosterone underpins these major illnesses that account for over 60% of health expenditure in the developed world. In a major shift of policy, the pivotal message from the conference was that Late Onset Hypogonadism (LOH) - testosterone levels in middle-aged and older men at the lower end of the “recognised” normal range - is a major predictor and cause of heart disease, stroke, obesity, diabetes, depression, moods changes, memory and sexual health problems. The evidence is definitive that low testosterone in men is associated with many of the underlying health issues faced by those in developed and developing nations. The challenge is now for mainstream medicine to endorse the use of testosterone for its therapeutic effect rather than as has traditionally been the case to prescribe testosterone to address a primary or secondary deficiency due to physical assault on the testes or dysfunction of hormone regulators in the brain. The reality is, once patients are obese, have diabetes or cardiovascular disease lifestyle changes, however well intentioned, are not sufficient to reverse these conditions. The testes in men and the ovaries in women do not spring back to life once hormone production has declined. Medical study after medical study has shown testosterone has a profound effect on reducing body fat, increasing lean muscle mass, increasing blood flow to the heart, brain and periphery, improving sexual function, improving mood and quality of life. In this Newsletter I provide a brief overview of some of the highlight findings presented at the conference plus outline a couple of major human clinical trials that have commenced looking at prevention and treatment of Diabetes Type II (the most common form) and Alzheimers Disease using testosterone. Last month we released a new information website which focuses on the symptoms of the perimenopause in women. This is a time in a woman's reproductive life when major physical and hormonal changes are occurring and can be very distressing to many women. The website www.understandingperimenopause.com explains, informs and assists women about the changes that are taking place and options for management. 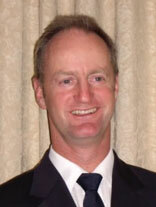 Thank you to the positive feedback I have had from my blog www.michaelbuckley.net. I regularly update it with topics of interest and controversy about anything hormonal. If you haven’t viewed it please do and I’d welcome any feedback. The months and years prior to the menopause can be the most challenging time of a woman’s life. Children are often in their teenage years, life is hectic and the dynamics of family life are changing. urinary incontinence are common areas affected. 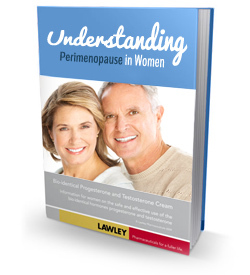 Lawley Australia has launched a new information website www.understandingperimenopause.com which addresses all these areas and has many features to assist women understand how their changing hormones influence many of these symptoms. An information booklet Understanding Perimenopause can be downloaded for additional information from the site as well as online questionnaires that can be used to assess ones symptoms. The menopausal woman is well catered for with online information, however the perimenopausal woman often struggles to find pertinent and relevant material. Understanding Perimenopause is designed to address this lack of clear and concise information. Testosterone clinical trials start for treating diabetes Type II, Alzheimer's Disease prevention and in poor IVF responders. In tandem with the findings from the International Andrology conference, February 2013 has seen the start of recruiting for two world-first human studies – testosterone as a treatment for diabetes Type-2 is a multi-centre study across Australia www.td4m.com and Testosterone and Fish Oil as a prevention for Alzheimer’s Disease www.talz.com.au are two studies currently underway which could change forever the way these two conditions are treated. This paper published in the journal Maturitas, reviews the ten common myths and misconceptions the medical professional at large has about using testosterone in women. Remember, women make testosterone in the ovaries and it plays a pivotal role in energy, sexual motivation and bone health. This is a must read paper by those who have reservations about using or prescribing testosterone for women. To do so will enable physicians to provide evidence-based recommendations and appropriate therapy. This study reports on 1365 men aged 25-87 (mean 55) years with symptoms of androgen deficiency who received monitored testosterone therapy (TRT) of varying modes for up to 20 years. The authors examined the effect of long-term testosterone use on the prostate. The results showed that there was no statistical difference of the incidence of prostate cancer between TRT users and the general population. Prostate health markers such as prostate specific antigen (PSA) showed no statistical change in TRT users. The fourteen cases of prostate cancer identified correlated with one case per 212 years of testosterone use.